Grace trained at the Royal Acadmey of Music and is the recipient of the Emerging Talent Award from the Kurt Weill Foundation for Music in 2018's Lotte Lenya Competition. Her credits whilst training include Dolores Dante/Terry Mason in Working; Cosette in This is the Hour concert; Is there Life After High School? ; Letters From Home; as well as a workshop directed by John Caird, Hard Times. 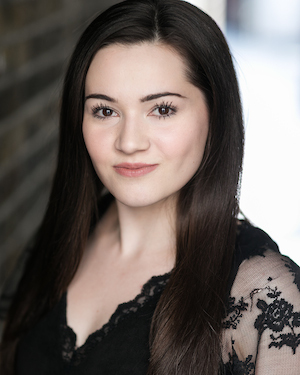 Further theatre credits include Charity Hope Valentine in Sweet Charity and Mabel in The Pirates of Penzance at UCLU; The Sound of Music (International Tour); Audrey in Little Shop of Horros (Tanglin Trust School); Broadway Meets Opera concert (Intune Music); and The Real Thing (The Stage Club). Grace recently appeared in a concert version of Les Misérables, alongside Ramin Karimloo, directoed by Paul Morrissey.